Ultra-Portable & Small 100-Piece First Aid Kit w/ Exclusive Items, Light, Durable Nylon Case, Space Saving Design - A Must Have Survival Kit! The most perfect First Aid Kit to keep anywhere. I would keep this in my home, car, when I travel. It is a 100 Piece set that has everything inside needed in case of an emergency or just if you scraped your knee for a band aid. 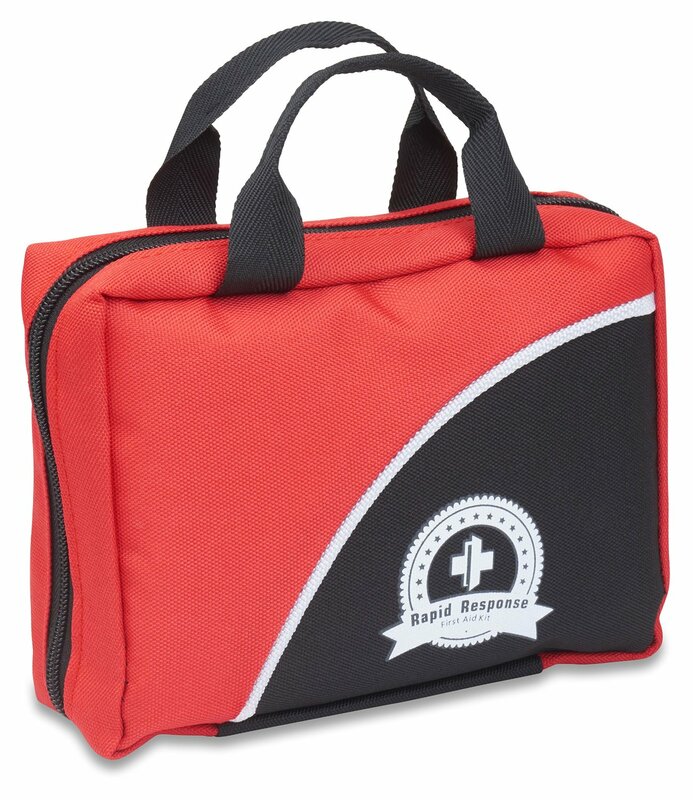 Easily accessible, soft nylon case with zipper that you can store easily. Everyone must have a first aid kit at home and in their car. This Kit contains everything you would need in case of an accident until you can reach a hospital. It weighs under 1lb and is compact. Disclaimer: I received a complimentary or deeply discounted product in exchange for my honest opinion. My reviews are 100% honest and true based on my personal opinion not on a companies description or request. No monetary compensation was offered or received. This sounds like a great first aid kit. I like that it's a 100 piece set. Every home should have one.